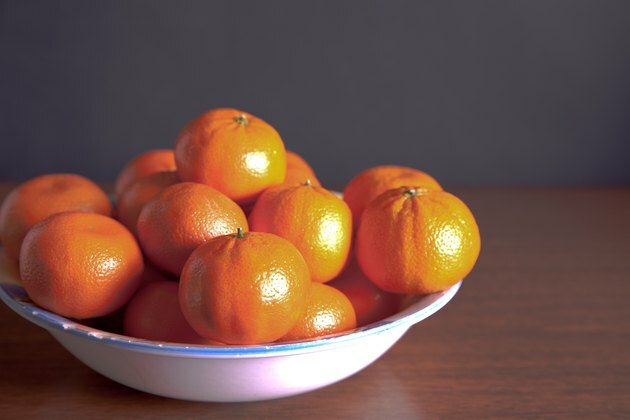 Mandarin oranges, also called tangerines, are an excellent source of vitamin C, providing more than half of the recommended daily allowance for adults. Fresh fruits typically contain more of this healthy antioxidant than canned versions. Because your body does not produce vitamin C on its own, it's important to get the nutrient from foods such as oranges, broccoli, bell pepper and kiwi. 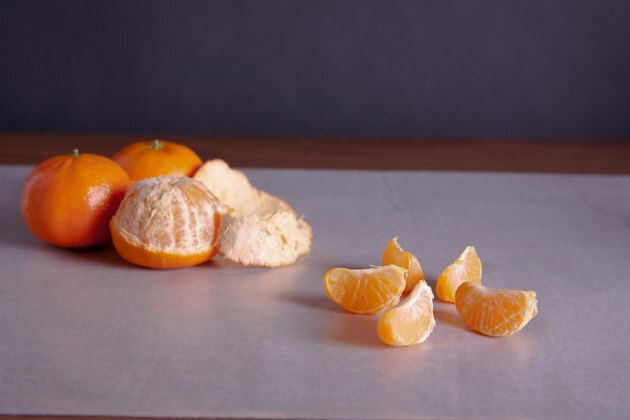 Peeled, raw mandarin-orange sections provide about 52 milligrams of vitamin C per cup. Most women need about 75 milligrams of vitamin C per day, while most men need about 90 grams. People who smoke, as well as those exposed to secondhand smoke, need about 35 milligrams more per day than those who are not exposed to cigarettes. Although you can take vitamin C supplements, Medline Plus recommends getting this nutrient from foods. Canning, cooking and otherwise processing food causes nutrient loss -- and according to the Alabama Cooperative Extension System, processed fruits lose more vitamin C than any other nutrient. 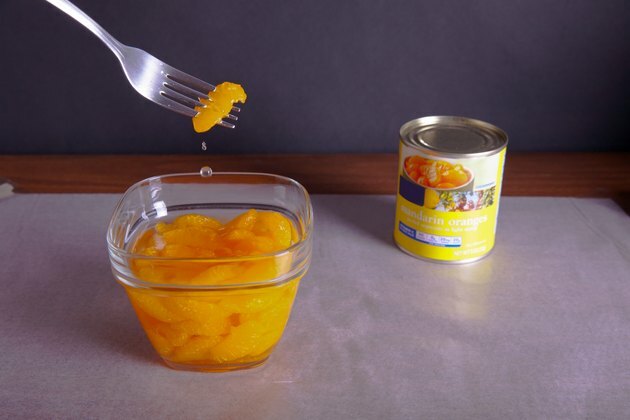 Canning methods have improved to preserve nutrients, and manufacturers often fortify canned fruits with vitamin C. At about 50 grams per cup, canned mandarin oranges in light syrup have only slightly less vitamin C than fresh oranges. In general, canned oranges are typically higher in sugar and calories.